Pick out the product that you wish to order from the site. 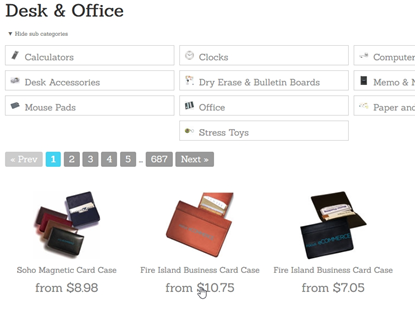 Click on the pricing underneath the product title and image to be taken to the product details screen. 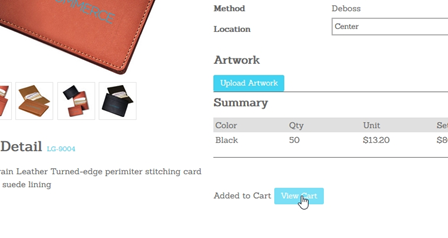 On the product details screen, enter the quantity of the product you wish to purchase, then click the ‘add to cart’ button. 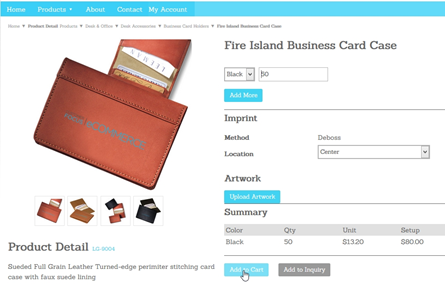 If you only want to request pricing information and not place an order, click ‘add to inquiry’. Once you’ve clicked the ‘add to cart’ button this will disappeared and be replaced by the ‘added to cart’ text, with a ‘view cart’ button next to it. Click on this. If you are a new customer, you will receive a notification that an account has been created for you and a password has been emailed. 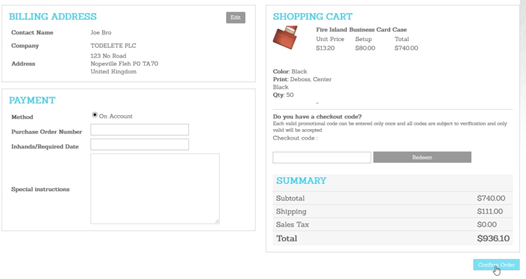 You will see a confirmation screen with your order number and a link to your order summary. Your order is now complete and ready for processing.